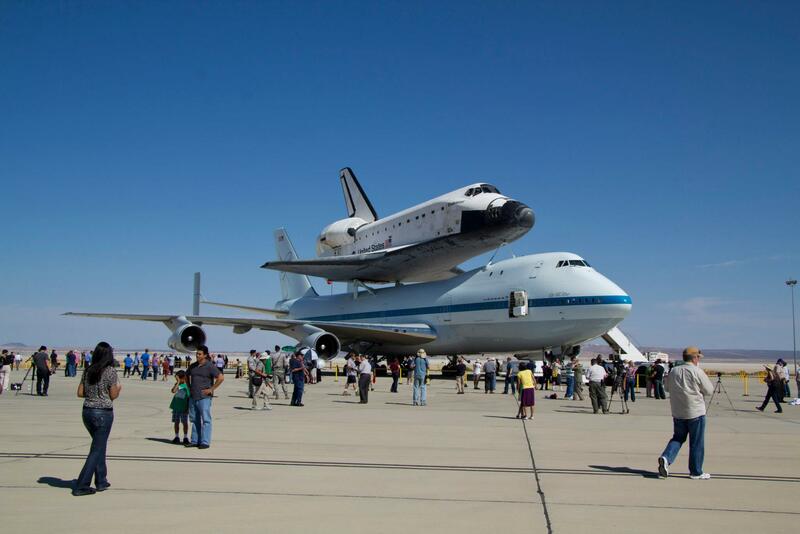 Space Shuttle Endeavour, being carried to its final home in Los Angeles. The Shuttle will go on display at the California Science Center. The Shuttle flew 25 missions into space, orbiting the earth over 4,600 times. 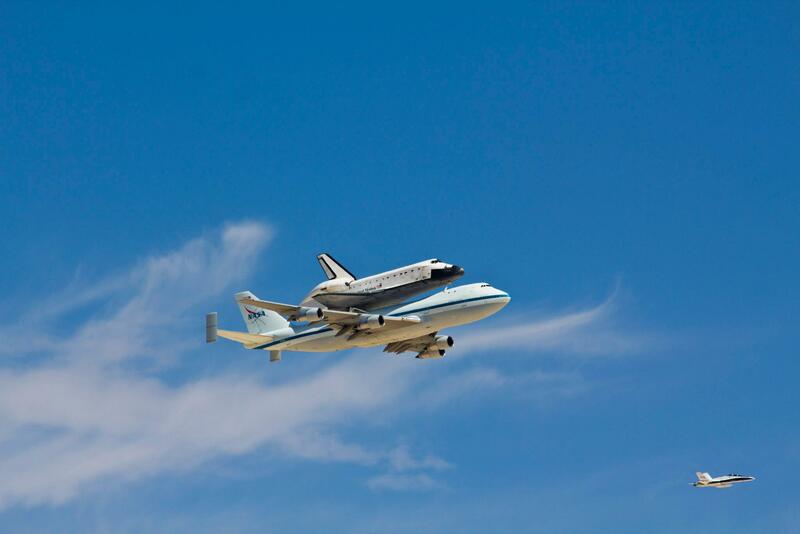 Endeavour will be carried to a fly over of San Francisco on Friday, before heading back south to land at LAX. From there, it will begin an overland journey to its permanent home. 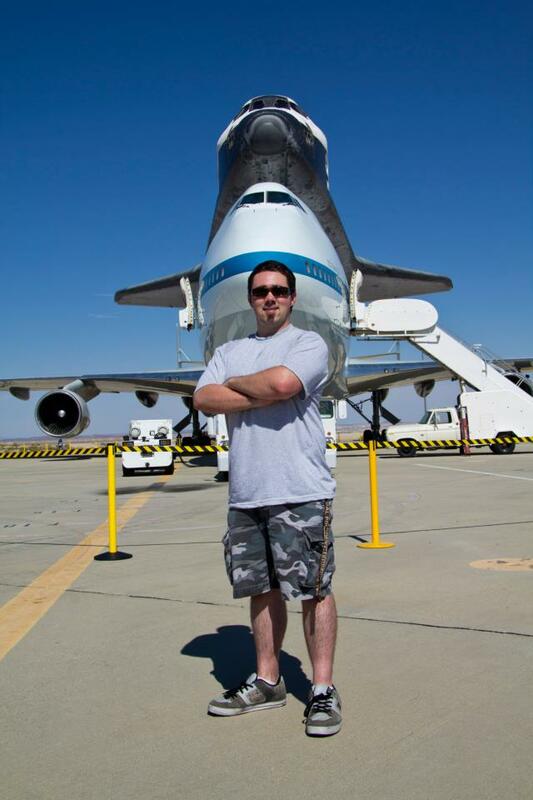 Shown head-on as the specially modified 747 carrier taxies into position at Edwards Air Force Base. 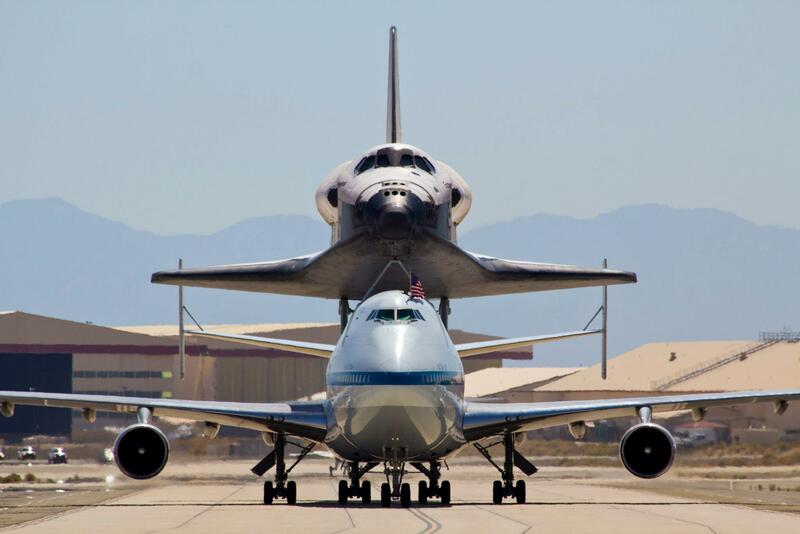 The Shuttle often landed at Edwards Air Force Base when returning from missions. If the Shuttle could not return to Florida due to weather, then it would first land at Edwards, and then be ferried piggy back style, as you see here, on its way back to Florida. When the Shuttle landed — often overflying my home — much of Southern California could hear the unique double sonic boom caused by the massive air disturbance as the Shuttle glided into its landing. Shuttles did not have a powered landing … they glided all the way in from outer space. Photos by Kyle Duffy, who got special permission to enter the base and take these photos from a fabulous vantage point. Kudos for some great shots! Kyle is Brianna’s brother, and the MowryJournal thanks him for allowing us to publish his work. way to go Kyle! Great pictures! Josh here from the BlinkPack blog. Thanks for stopping by the blog, and nice to look around yours as well. This post is a lot of fun — great shots too.